Side by Side is a design studio specialising in identity and bespoke typography. They create exciting brands for forward-thinking companies. They like to blur the boundaries between work & play, we’ve found that’s where the most exciting things happen. 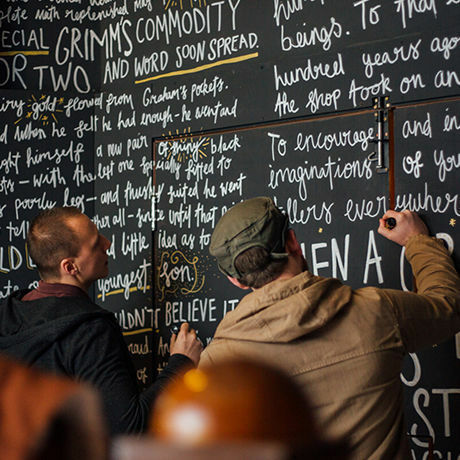 They will talk through how they use craft in their projects, and how it was heavily involved in the super project Grimm & Co, a Magical Apothecary in Rotherham. They will also bring the PLAY golf course for people to play on! Register for David and Oliver AKA. Side By Side.